The first thing I thought of when I saw the Kaboom Stamp of the Month was fireworks. For me fireworks mean New Years Eve celebrations. We had a very quiet night in for New Year last year, watching a Robbie Williams concert and the telecast from Sydney leading up to their fireworks. So, my only photos of the night are a dodgy selfie and a snap of the TV screen! 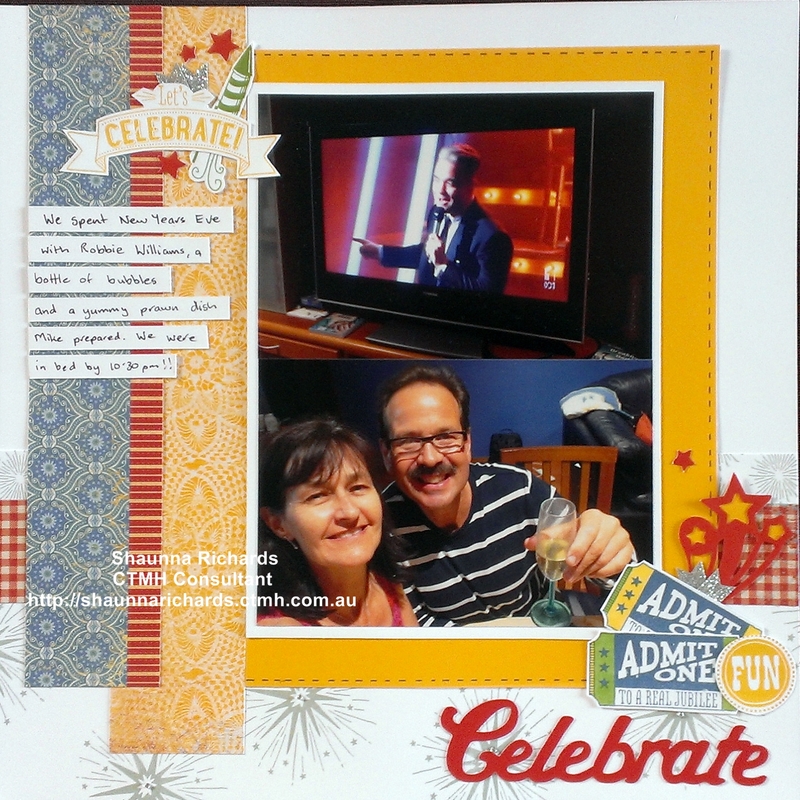 This layout is a copy of the one on page 15 of the Feb-Jul 2014 Ideas book. I used Jubilee papers on my page. Did you know we have a Recipe Book online where you can see a list of all the products used in a layout and find out what Cricut cartridges were used for each shape? It even tells which page to find the shape on and what size to cut at. Click here to view the booklet. It’s in pdf format so you can save it to your computer or print it out. I have mine printed and in a display folder. 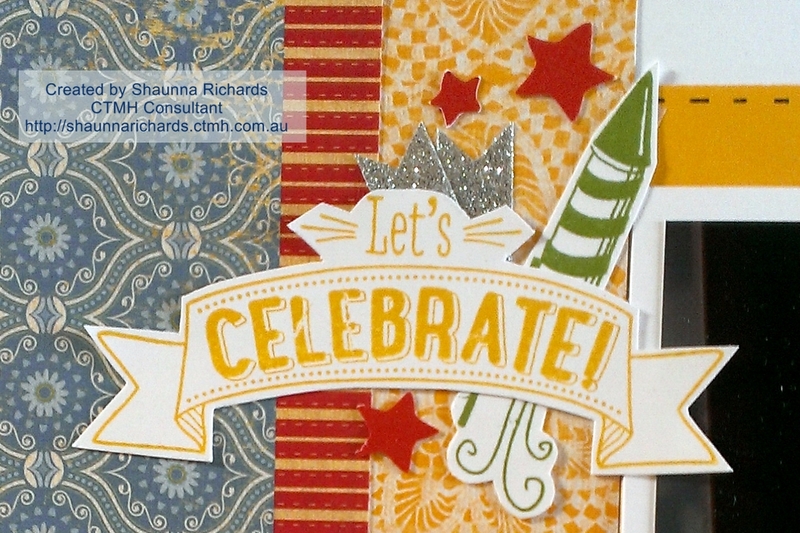 I love combining stamps and cut outs to make interesting embellishment clusters like these. 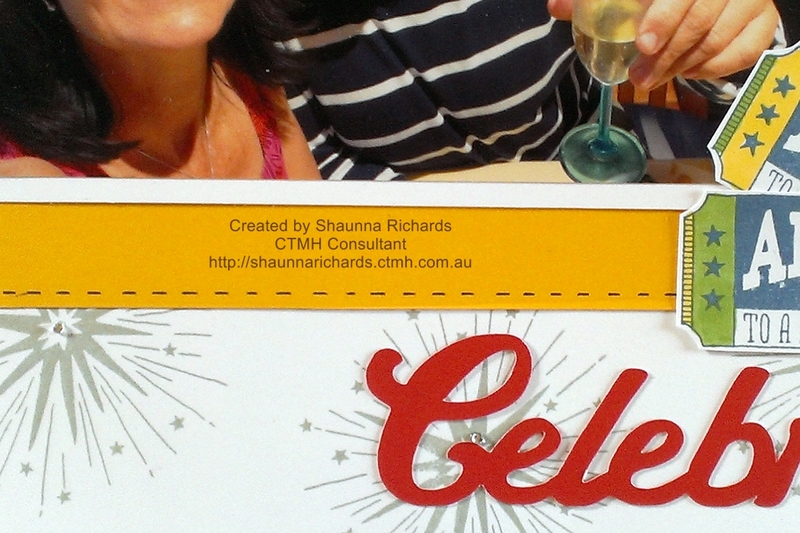 The Bitty Sparkles (Z1263)added to the centre of the stamp adds a subtle touch of bling to the page. 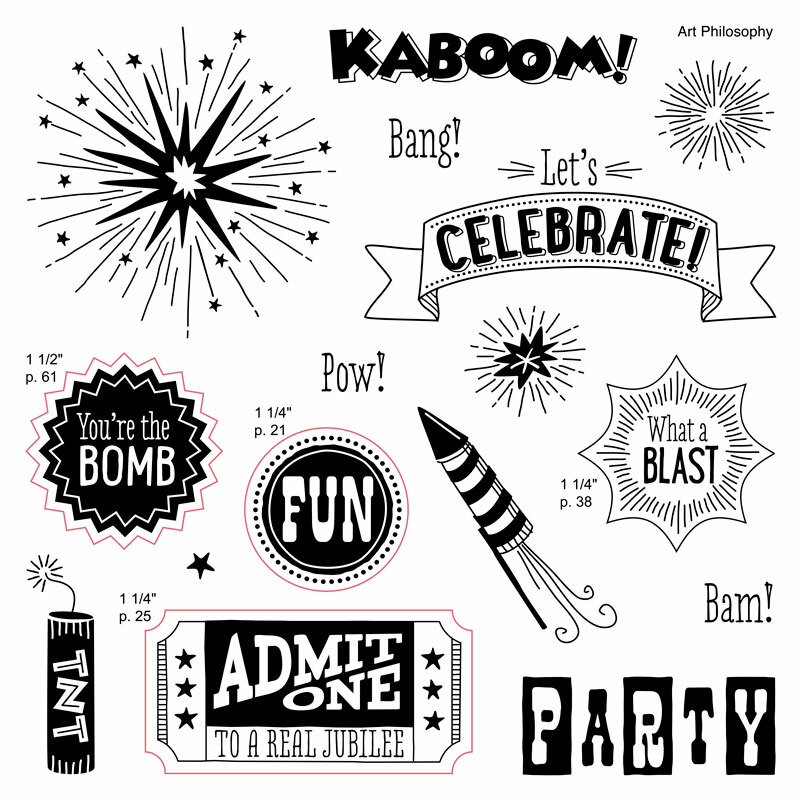 The Kaboom Stamp of the Month is only available during June 2014. You can order it for $24 (S1406) or take advantage of the discount offer of just $5 (S1406A) when you place an order of $75 or more. Click here to place your order.